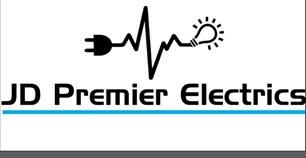 JD Premier Electrics - Electrician based in Woking, Surrey. My name is Jake Dorey, I am a young electrician with over 7 years experience. I have started my own business within the last year in order to extend my reputation as a reliable electrician in my local area. I have experience in most fields of work, for example; my last place of work was for a company based in Chertsey, the majority of our work was new builds, I have been in charge of large scale jobs and in command of other young improving colleagues, I parted ways with this great company to pursue my own achievements. I also have experience in commercial work as I spent nearly a year working on LOK'N'STORE storage facilities. As a new business owner, I am growing at a steady rate, and will soon be making it a family business, with a younger member of my family and helping him through college and hands on learning. We are young, reliable and hard working, and the work that we have done so far, we have had praise for what we can achieve. Thank you for reading and I hope I have set an image for you.